The American Dream has always been linked to mobility. Religious exiles sailed here to start a new, better life. Millions of immigrants later followed in their wake seeking the same. In fact, mobility was part of the American Dream even before there was an “American Dream” — many Plains Indians tribes were nomads who followed the seasonal grazing of buffalo. And yes, the pioneering spirit of those same exiles and immigrant settlers pushed them deeper into the frontier in pursuit of free and fertile land, gold, and other rewards, wreaking deadly havoc on Native American tribes. That’s another post for another time. In any event, moving to improve your lot is a part of life in America. (We’ve even moved our national capital a couple of times.) It’s why home ownership isn’t for everybody: There’s a lot to be said for the flexibility of being a renter. No jobs in town? Things not working out? Pick up and move somewhere else! What’s stopping you? Of course, 20 years later, I’m overcome with nostalgia for Central New York, particularly the orchard- and lake-dotted countryside surrounding Syracuse, and I can understand why they stay. Roots. Family. The life and landscape you love. But the fact remains: If you’re looking for a better opportunity, for yourself or your family, you may have an easier time finding it somewhere else. And in the United States, while we lag much of the developed world in economic mobility — the likelihood of someone born into poverty reaching the upper class by adulthood — geographic mobility is a distinct American advantage. You could move 3,000 miles west and still speak the same language, pay with the same currency, and, for the most part, live by the same laws. 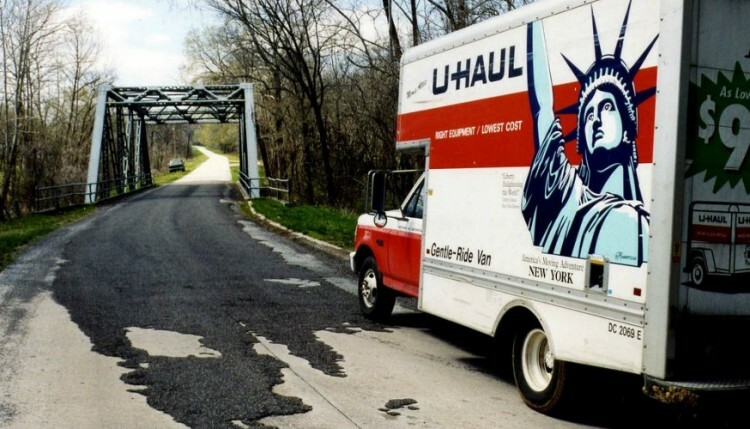 In celebration of America’s nomadic opportunism, here are a few ways digging up your roots and transplanting them somewhere else can improve your life. If you can move to a place with a lower cost of living — ideally taking your big-city salary with you — you’ll essentially game the system in your favor. Average salaries in New York, Washington, and Silicon Valley are among the highest in the country, but those are also the most expensive areas when it comes to housing, food, and other necessities. If you can work remotely and earn a New York City paycheck in rural Pennsylvania, however, you’ll see a dramatic increase in your purchasing power, giving yourself what amounts to an instant pay raise. When is Budweiser an expensive, trendy beer? When you’re not in the United States. By moving to a new region or country, your stock can rise simply because you have an accent. You’ll be different, exotic, and intriguing, even though you’re actually just the same, boring old you. To anyone who’s young, free, and looking for love, well… all I can say is give this a try. Unless you’re truly embracing the outdoors all winter — cross-country skiing every weekend, playing ice hockey on picturesque ponds — it can be pretty tough on your health, too. I, for one, stop jogging — or even walking places — if there’s a lot of snow. I’m inclined to sit inside and drink delicious winter ales instead of, you know, doing anything. This can go on for months, while our healthier friends in California just keep on playing Ultimate Frisbee golf or whatever they do. Plus, you run the risk of wiping out on ice and breaking an arm or leg, having a heart attack while shoveling, or getting into a car accident on the snowy streets. And of course there’s seasonal affective disorder (SAD). When the sun gives up on you at 4pm, and you’re arriving at and leaving work in the dark, well … it’s enough to make even the hardiest New Englander cry. Moving just a few degrees of latitude south — or even further west in the time zone, where the sun will rise later but set later as well — can offset the worst of it. That’s just the beginning, though. Move away from city air pollution or chemical-infused drinking water. Move downtown, where you’re more likely to walk or bike to work every day. Move away from chronic stressors like your commute, which can increase your cholesterol, anxiety, and risk of depression, among other bad stuff. If you have a chronic health condition, maybe you should move closer to an excellent hospital. The bottom line: Where we live plays a huge role in our health. Most of us spend a good chunk of our lives captive to a commute, actually working to get to work — simply getting there can be a job in itself (and a health risk, as noted above). If you can move closer to your place of business, reducing your commute by even 15 minutes each way, you can effectively add five entire days to your life each year. Five more days of your life, every year. You endure that commute almost every day. A better one can improve your life immediately, drastically, and continually. Moving from a McMansion to a more modest home can save you a lot of money — not just on the purchase price or monthly rent, but also on upkeep, heat and cooling costs, landscaping, and furnishings. Not all states, nor all cities, tax the same. This doesn’t mean you have to pick up and move to a libertarian outpost like Wyoming — but there are likely lower-tax options nearby. I’m a huge advocate of following your own path, wherever it takes you. That’s what this post is all about: not being afraid to pack up and pursue opportunity. That said, there is a lot to be said for being close to family members, especially if you’re starting your own family. With grandparents or other relatives nearby, you’ll have a larger safety net and support network, and potentially some free, trusted babysitters. This is even relevant for singles. If you live far from home, you might find yourself using much or all of your precious paid time off to visit family back home, instead of exploring new places or taking a more relaxing vacation. Moving downtown may add to your rent or mortgage, but it may also allow you to live a care-free, car-free life (or at least to get rid of your second car). That could more than make up for a rent increase: Between car payments and interest, gas, parking, insurance, and maintenance, AAA estimates that owning a car costs Americans more than $8,600 a year. Plus, walking daily is extremely healthy, while driving to work, as discussed, increases everything from cholesterol to blood pressure to anxiety levels. Place matters. That’s why we stay somewhere despite the many reasons for leaving — because it’s home, and that street brings you back to your childhood, and that restaurant was where you had your first date. But there’s a flip side to this: Place matters SO much that it can haunt you. If you’ve had a difficult stretch — a toxic relationship, a battle with addiction — and find yourself falling back into familiar, destructive patterns at the same places or with the same people, a change of scenery can really help you put it all behind you. That’s assuming you’re ready on the inside — as the saying goes, you can change your surroundings, but you still take yourself with you. Even at the low end, these parents will pay more than $100,000 in private school tuition — per kid! — between middle school and high school, to say nothing of elementary school or high-end academies charging $30,000 or $40,000 a year. And this is all before college, which is most parents’ financial nightmare. Why not spend that money on a home in a good school district? You don’t have to move far out of the city. Brookline, Newton, Milton, and Arlington schools are all quite good. Lexington High School sends about as many kids to Harvard as Phillips Academy. Surrounding middle-class communities like Medford, Melrose, Quincy, and Watertown all pair better-than-average school systems with access to the T. For that matter, nearly ANY public school district in Massachusetts is better than the average school district in the rest of the country. Don’t stop there. Got a few kids and worried about the impending financial doom of their college tuition bills? Move to a state with a good state college system, such as California or Virginia. You’ll be able to take advantage of in-state tuition rates at some of the country’s best universities, such as University of California Berkeley or the College of William and Mary. Speaking of the cost of college, most folks now graduate with significant student loan debt — often more than $30,000. Wouldn’t it be nice if someone just, you know… handed you $30,000 to pay them off? Well, some cities and states that are trying to rejuvenate downtrodden areas will do just that. They’ll actually forgive some or all of your student loans if you move to a certain city or neighborhood and live there for a given amount of time. What’s in it for them? Well, these neighborhoods aren’t exactly Williamsburg, Jamaica Plain, or the Mission… we’re talking about Detroit, Niagara Falls, and rural Kansas. These localities are hoping that their investment in a young, educated population can spur sustained growth after years of decline. But if you’re a recent college grad without any attachments to speak of, why not strike out to a new place on your post-college adventure — and take a chunk out of your student loan debt to boot? Great stuff, Jon. Keep up the good work..